The Snowball ICE is a stripped down version of the earlier released Snowball. 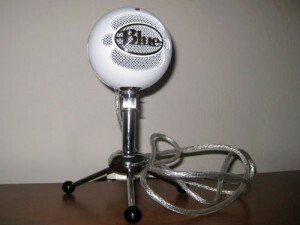 Although the Snowball is very affordable it includes features many solo podcasters and gamers will rarely if ever use. Blue recognized this and released ICE to shave down the MSRP. If you’re a musician the choice is easy. 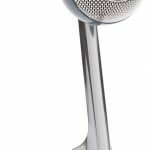 The Snowball has an omnidirectional cardioid setting that allows you to pick up everything surrounding the mic, not just sounds in front of it. 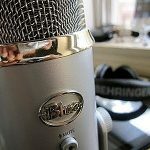 This can be used creatively to record room ambiance or to capture several instruments at once. Additionally it has a cardioid with -10dB pad setting so you can record loud guitars, drums, etc. These features are absent from the ICE. 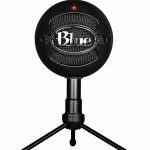 For podcasters who want to do interviews or record commentary with more than one person speaking, the original Snowball is still the way to go since it has omnidirectional capability. Gamers opting to ditch their headset are the only audience I recommend the Snowball ICE to. The original Snowball’s switching features are useless in this application. Even if you hardly use omnidirectional mode or the -10dB pad, it’s well worth the small premium. 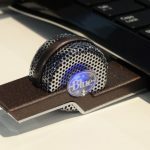 Plus it will give you room to grow, as you never know if a friend might want to join in or if you’ll become interested in new recording methods as you gain experience. 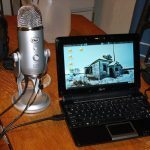 Snowball and Snowball ICE sound the same and record at the same bit rate, 16-bit, 44.1kHz. 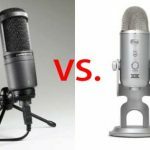 For more detail on sound quality and features common to both USB microphones, read my review of the Snowball. Oddly, Amazon.com is doing its own thing and has priced the ICE above the Snowball, at least at the moment. Unless the ICE is at least $10 cheaper, there’s no reason even those with the most basic needs should choose it over the Snowball.